What's expensive are the logistics. The coffee beans Starbucks brews in its Beijing stores, as well as other materials like cups and mugs, don't cost any more to import in China than in the United States. The problem is getting these materials from point A to point B. "Transporting coffee beans from, say, Colombia to the port of Tianjin is about the same as transporting them from Colombia to the port of Los Angeles," says David Wolf, a public relations professional and expert in Chinese business. "It's getting them from the port in Tianjin to the store in Beijing that's expensive." 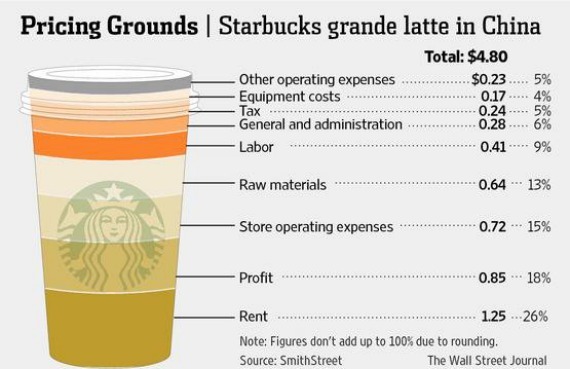 China has invested billions of dollars over the years to improve its port and transportation infrastructure, but the combination of taxes, fees, and middle-men add to logistics costs—which are then passed on to customers in the form of marked-up frappuccinos and lattes. One major issue is culture. Since the Chinese economy opened up to import products in the late 1970s, these goods acquired a certain cachet with image-conscious consumers. "Traditionally foreign products were regarded as better-made, higher-status, and simply nicer," Fei Wang, a Washington, DC-based consultant who grew up in Wuhan, told me. "A person's social standing was defined by the objects they own." Far from acting as a deterrent, high prices actually enticed customers who wanted to show off their new affluence; put another way, purchasing a good like a cup of coffee at a premium was a good way to obtain "face" in business or personal relationships. And Starbucks had the good fortune of entering the country at a time when coffee drinking became fashionable among hip, young Chinese consumers. 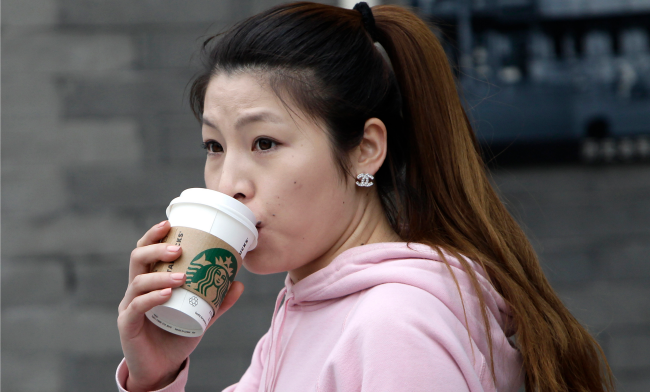 Could the Starbucks allure fade in China, as the country's once-non-existent coffee shop market matures? Probably not anytime soon. The company has proven adept at adding local touches in its Chinese stores, such as green tea flavored coffee drinks and collectible mugs, and has shown a flexibility that has eluded other foreign companies hoping to capitalize on the market. Eventually, though, Chinese customers may decide that a latte is just a latte—and the no-name place down the street is more than good enough.